There are many different games available to be played in casino sites. 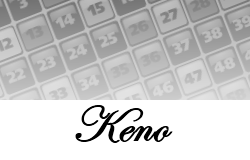 They can be divided up into table games, such as blackjack and craps, electronic gaming machines, such as slots and pachinko, and random number games, such as keno and bingo. 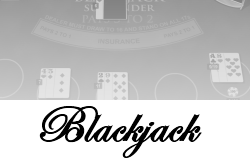 The following is a list of some of the most popular games played in casinos. This is a random number game played on a table. 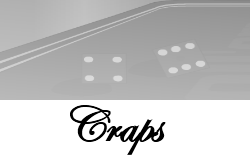 The croupier spin a wheel in one direction and spins a small ball in the other direction. The ball will eventually come to rest in one of 37 (in European roulette) or 38 (in American roulette) numbered and coloured grooves. It is possible to place a large variety of bets based on the number and colour of the groove the ball ultimately comes to rest in. 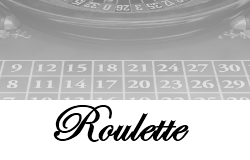 The roulette is the most popular casino and on line casino game. 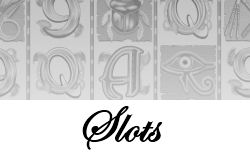 There are many different types of slot machines but the basic premise is similar. The player will pull a lever or press a button causing the wheels to spin. The aim is to achieve a certain sequence of symbols on the pay line. Also known as Twenty-One this is a card game in which the players plays against the house. Two cards are dealt and the aim is for your cards to reach the value of twenty-one, with the ace counting as either one or eleven. More cards are dealt until either the player decides his hand is as close to twenty-one as is likely to be achieved, or he exceeds it in which case the hand is lost. Whoever is closest to twenty-one wins the hand. This is a dice game played on a large table in which the players make wagers based on the outcome of the roll of a pair of dice. You can places bets against other players and the bank. It is possible to place different types of bets on many areas of the table but the Pass Line is the main focus of the game. Seven and eleven win on this line, while two, three and twelve lose. 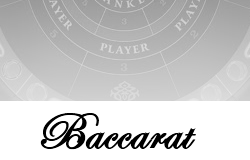 Baccarat is a card game played against the house. Two-card hands are dealt to each, with the aim being for your cards to add to nine. If the total of the cards reaches ten, then ten is subtracted (i.e. 14-10=4). Bets can be placed based on the three possible outcomes: banker wins, tie or player wins. This famous card game needs no introduction. 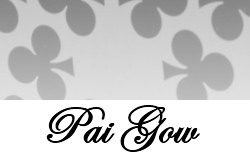 It is based on a 5-card hand with winning hands going from a simple high card up to the famed royal flush. 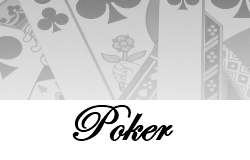 There are many variations available, including 5-card draw, Texas Hold’em and Omaha. This is a poker variation in which you play against the house. The dealer deals seven cards and the aim is to create the best 5-card and 2-card hands. To win both hands must beat the banker’s hands. If only one hand wins then it is a tie, called a push. 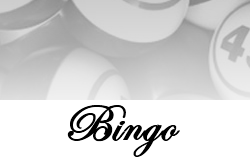 Bingo is a random number game where players try to match randomly selected numbers with numbers on their card. Cards have numbers printed in boxes of 5x5. The aim is to achieve a certain pattern of numbers on the card, such as a line. The winner is required to call out Bingo! This is a random number lottery game. It can be played either live or on an electronic machine. Each player receives a card with the numbers one to eighty and can pick up to twenty numbers. A live casino game will then have a glass ‘bubble’ with balls numbered one to eighty. Twenty balls will be randomly selected and the aim is to match as many numbers as possible.